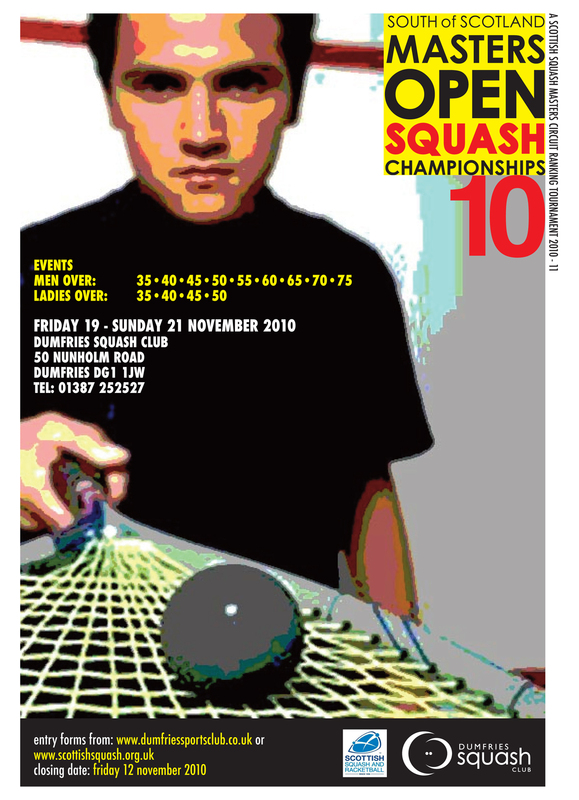 The 2nd South of Scotland Masters Squash Championships at Dumfries Squash Club have been confirmed for the 19th – 21st November 2010. This is a Scottish Squash and Racketball Masters Circuit tournament. Further information available on Entry Form. Deadline for entries: Friday 12th November 2010.